How Far is North face Avasa? Northface Avasa, is a sprawling luxury enclave of magnificent Apartments in Vijayawada, elevating the contemporary lifestyle. These Residential Apartments in Vijayawada offers you the kind of life that rejuvenates you, the one that inspires you to live life to the fullest. 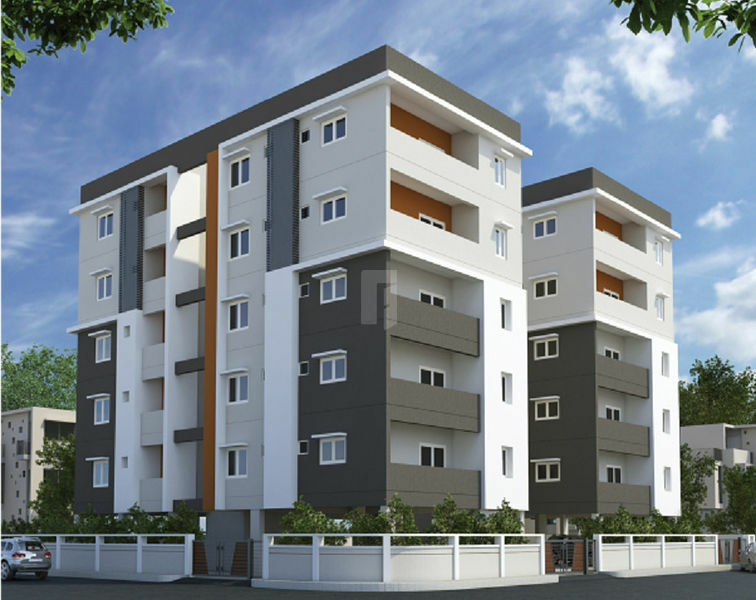 Northface Avasa in Penamaluru is meticulously designed with unbound convenience & the best of amenities and are an effortless blend of modernity and elegance. The builders of Northface Avasa understands the aesthetics of a perfectly harmonious space called ‘Home’, that is why the floor plan of Northface Avasa offers unique blend of spacious as well as well-ventilated rooms. 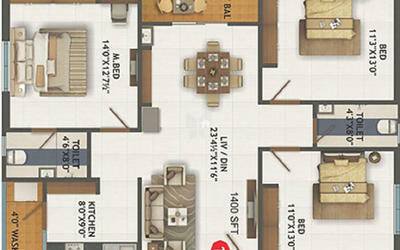 Northface Avasa offers 3 BHK luxurious Apartments in Vijayawada. The master plan of Northface Avasa comprises of unique design that affirms a world-class lifestyle and a prestigious accommodation in Apartments in Vijayawada. R.C.C. Framed structure with red brick masonry in cements mortar. External and Internal plastering in cement mortar with Makku (Internal only) finish. External with 9" thick & internal with 41/2" thick red brick wall. Flooring with 2/2 vitrified, Balconies & Staircase with ceramic tiles. Main door frames and shutter with Teak wood with polish and other doors frames are with Teak wood with flush shutters. Powder coated Aluminium or UPVC. Internal wall putty with plastic emulsion paint, external with exterior emulsion. Standard CP fitting with Indian / Western W.C. Granite platform with 2' feet height tiles dadoing. Anti skid ceramic flooring and glazed tiles dadoing upto 7' height. Generator will be provided for common lights, lift, motors &1KV for each flat. Cement planks will be provided. Concealed CPVC pipes & fittings of standard quality. Car parking will be provided.